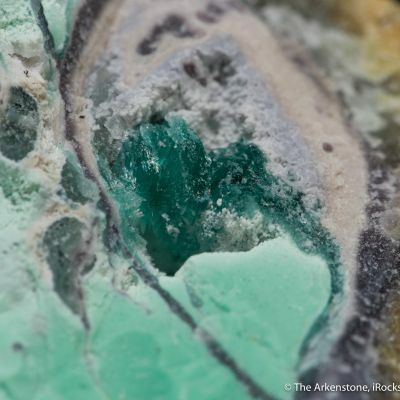 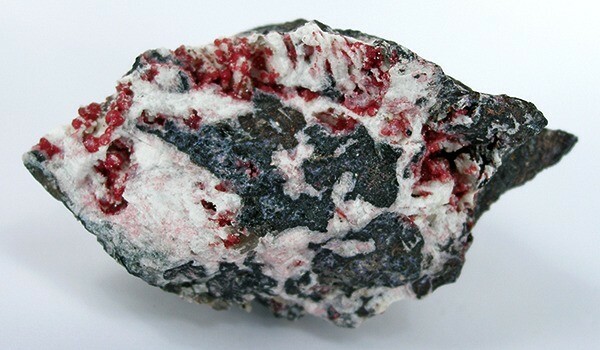 Variscite is RARE in pegmatite deposits. 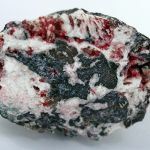 It is usually found deposited from phosphatic waters reacting with aluminous rocks at surface or near-surface conditions (low temperature). 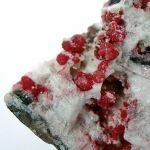 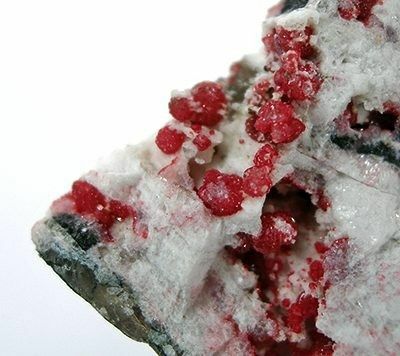 This uncommon and showy iron rich (ferrian) variscite specimen from the Boa Vista pegmatite of Minas Gerais features sparkly, cherry-red variscite microcrystals richly scattered in a very starkly contrasting snow-white matrix.